Places a solid line on the chart. Click on the trend line tool in the menu. 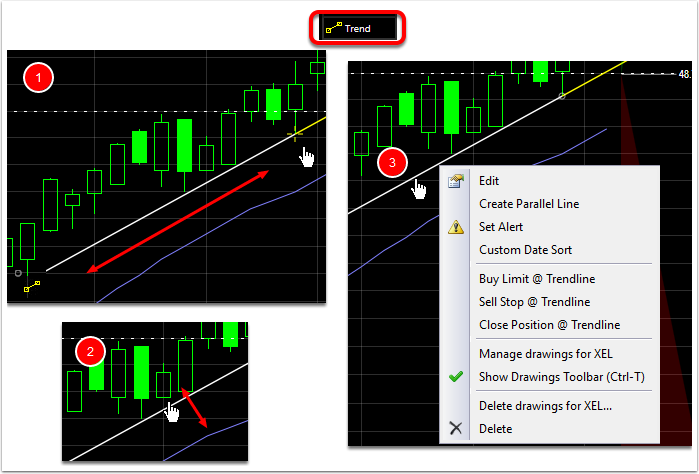 Hold the mouse button down, drag, and release the mouse to draw a trendline between two points on the chart (1). Click on the trendline and drag to reposition it (2). Right click on the trend line for the menu of items that can originate with a trendline. Alternately, simply click and drag the mouse on the chart and before releasing the mouse button, press the spacebar on the chart to create the trend line. 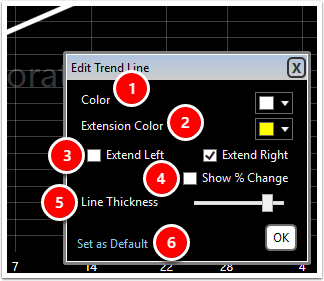 Ctrl+D is a keyboard shortcut for the trend line tool as well. Click the Edit option in the menu to open the tools that edit the trendline. Set parameters of this trendline edit as the default for all trendlines. 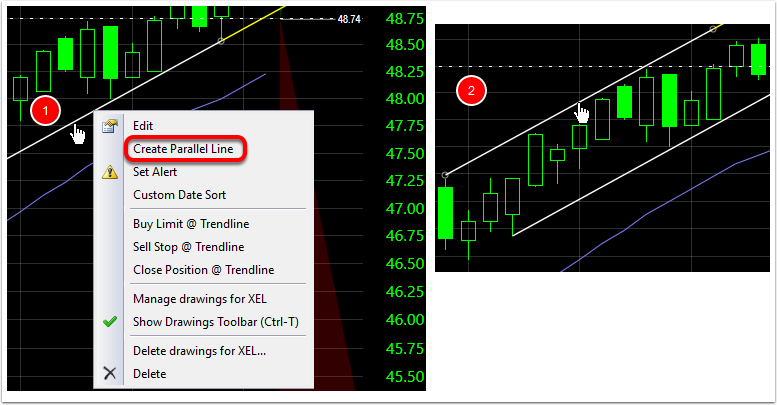 To draw a parallel trendline, click on an existing trend line, then choose Create Parallel Line from the menu (1). Click and drag the parallel trend line to the desired position (2). 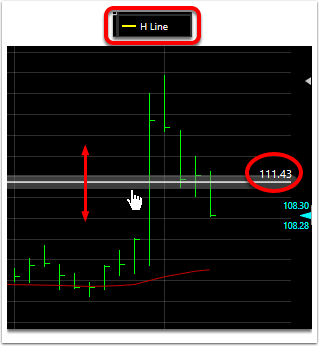 Horizontal (HLine): Places a horizontal line on the chart at the point of the mouse click. Click and drag the line to move it in the pane. The value represented by the horizontal line appears at the right end of that line. 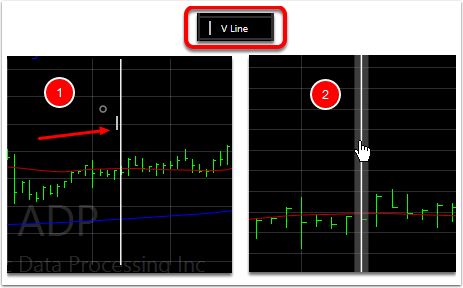 Vertical (VLine): Places a vertical line on the chart at the point of the mouse click(1). Click and drag the line to move it in the pane(2).